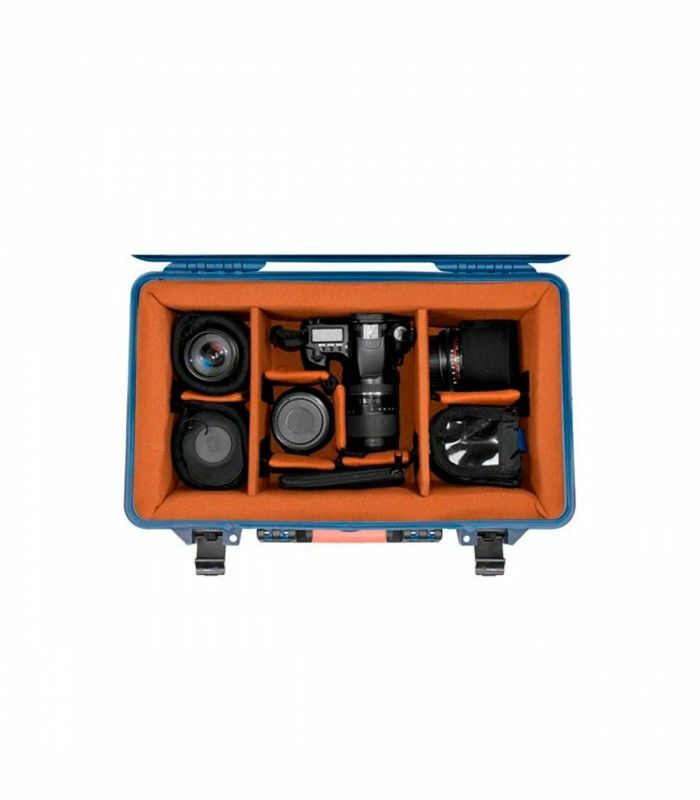 The PB-2550DSLR is a wheeled, airline carry-on size hard case. 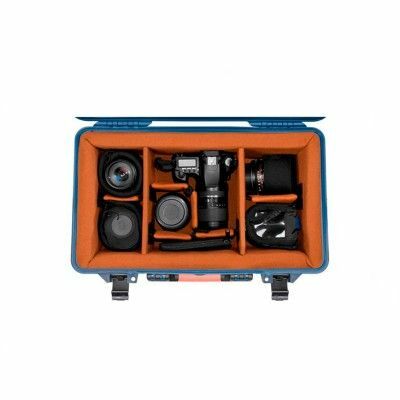 The PB-2550DSLR is a wheeled, airline carry-on size, hard case with a special divider kit system specifically designed for using with DSLR kit setups (camera bodies, lenses, flashes, and other accessories). There is a retractable alluminum handle and smooth-rolling wheels. 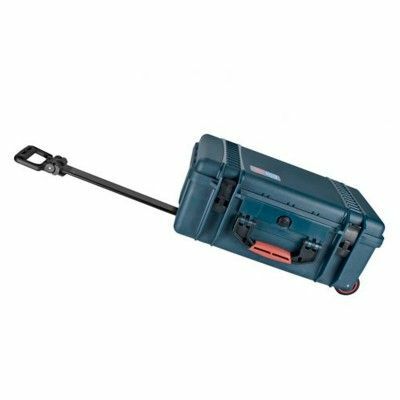 Double-hinged latches lock tight for increased security and open without snapping. 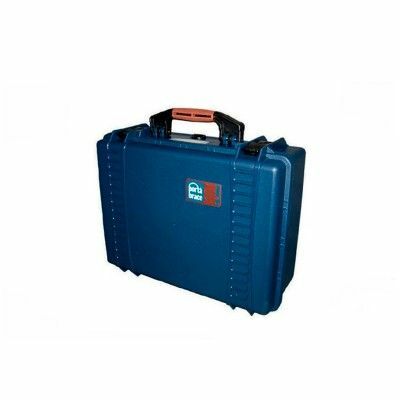 The exterior hard case is watertight and airtight. 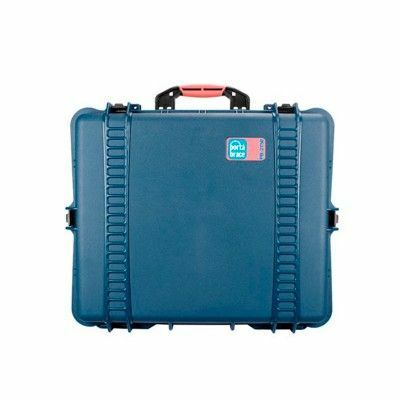 It is made using a patented, unbreakable TTX01 high-strength plastic resin that is 10% lighter than the leading hard case brand. There is an air-pressure relief valve that allows you to relieve pressure slowly so as not to damage lenses or other delicate camera components. 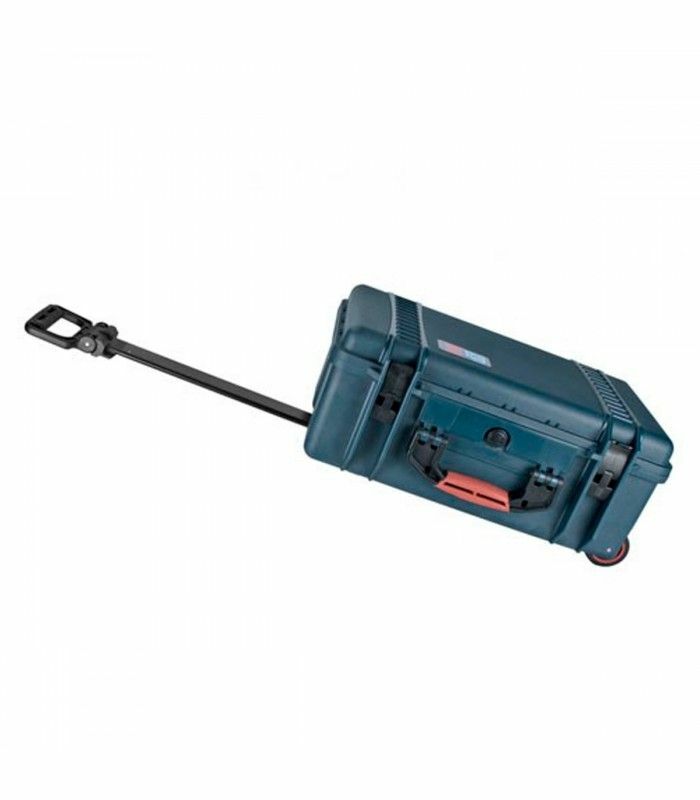 Comfortably carry the case using the super-soft grip handle. The interior Divider Kit is made using soft Veltex material that is non-abrasive on equipment and also attaches to the Velcro-based dividers at any point of contact. This allows you to fully customize your interior according to your current equipment needs. 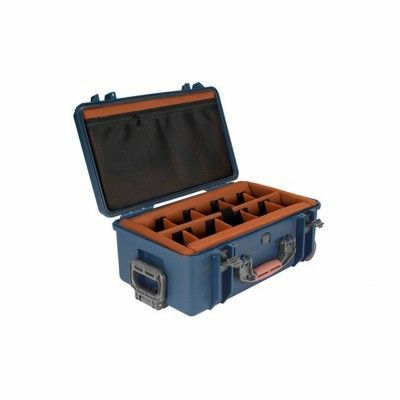 The Divider Kit comes with ten (10) 4-inch padded dividers and one (1) 17-inch padded divider. 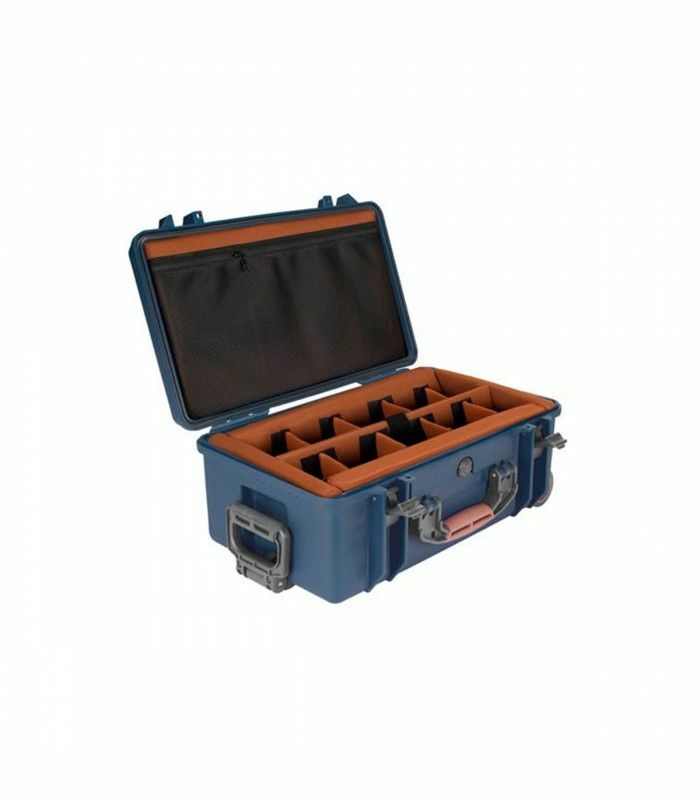 The dividers are copper-colored for improved visibility of equipment inside the case. There's also a padded organizer with mesh slip-pocket for the interior lid.